Beach Plum oysters have the luxury of being raised in deep waters with a rapid tidal flow, allowing them to grow quickly in long line cages. 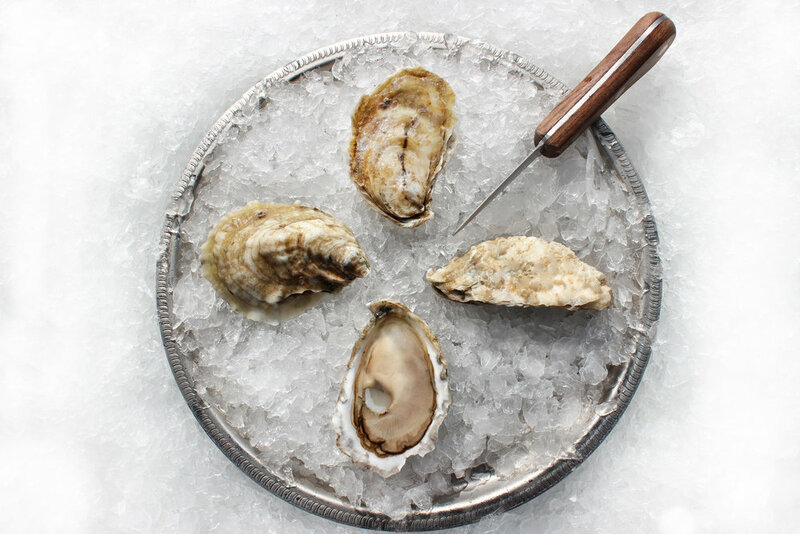 The flavor of them is similar to their sister oyster, Riptides, but differ in a unique minerality in the finish that is influenced by the nutrient-rich waters of Buzzards Bay. The deep lease allows harvesting year round, so be sure to ask for them by name. My wife, Kristin, and I started Riptide Oyster Farm in 2010. The farm came to fruition for several reasons. I majored in Aquaculture and Fisheries Technology at the University of Rhode Island and was a commercial lobsterman fishing 800 lobster traps off my hometown of Westport, MA. After five years of lobstering, a change seemed necessary. I researched oyster farming and approached the town of Westport for an aquaculture grant. Two years later, we were granted the first two aquaculture grants in town history. The first years were tough, but very successful. I was farming oysters, but still fished for lobsters full-time. Kristin would drive the oysters to Pangea Shellfish, so I could keep working on the farm. Since then, our farm has grown into a year-round operation with two other employees on the team. We are different from other farms because of our techniques and our never-ending goal to create the perfect oysters. Since there are no other farms located in the Westport River, we were able to evolve in isolation with very little influence from other farms. Unlike other popular oyster towns that have tons of oyster farms, we have no one to copy. Not having a neighbor has allowed us to test and develop techniques that are specialized for our grants. We learned early on to use our knowledge to work with the environment rather than fight it.